A woman photographs a work by Paul Trefry at the “Sculpture by the Sea” exhibition in Sydney, Australia, on Thursday. 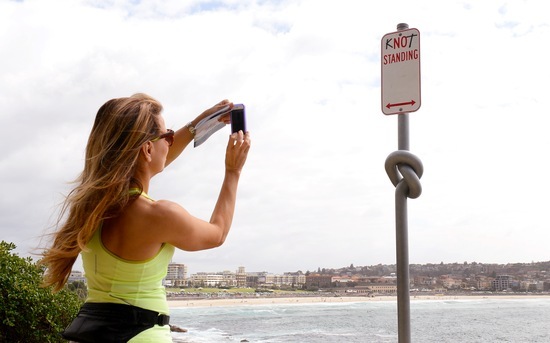 More than 100 works of art are displayed in the world’s largest annual outdoor sculpture exhibition, which runs from Sydney’s Bondi Beach to Tamarama Beach through Nov. 4. Photo by William West/AFP/Getty Images.